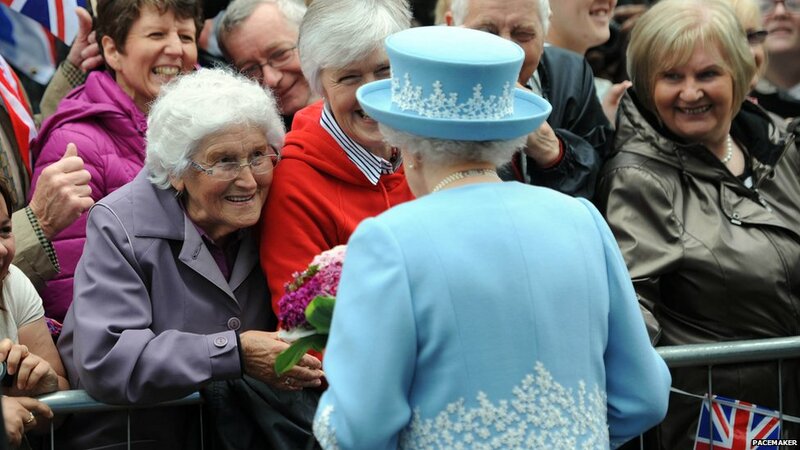 The Queen and Prince Philip are on a two-day visit to Northern Ireland as part of her Diamond Jubilee tour. 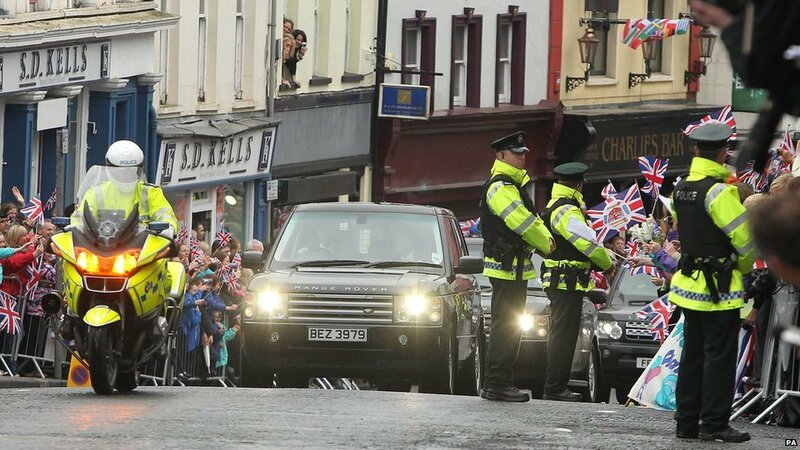 Their first stop was the town of Enniskillen in County Fermanagh. 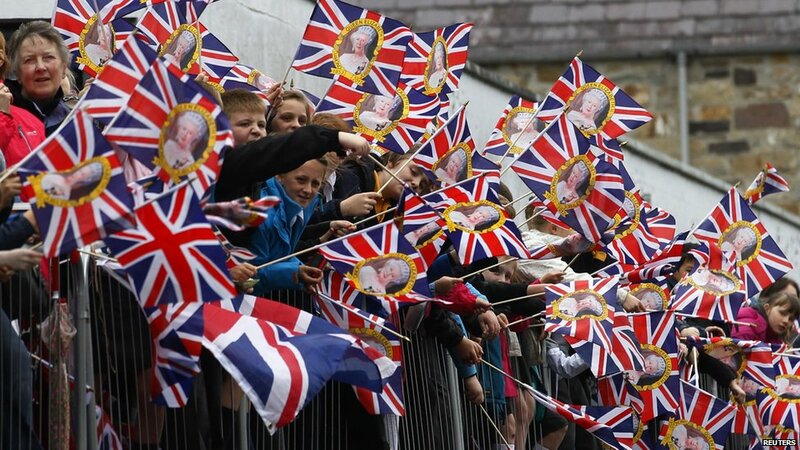 Thousands of people lined the streets to welcome the royal couple - although their flight was delayed for about an hour due to bad weather. 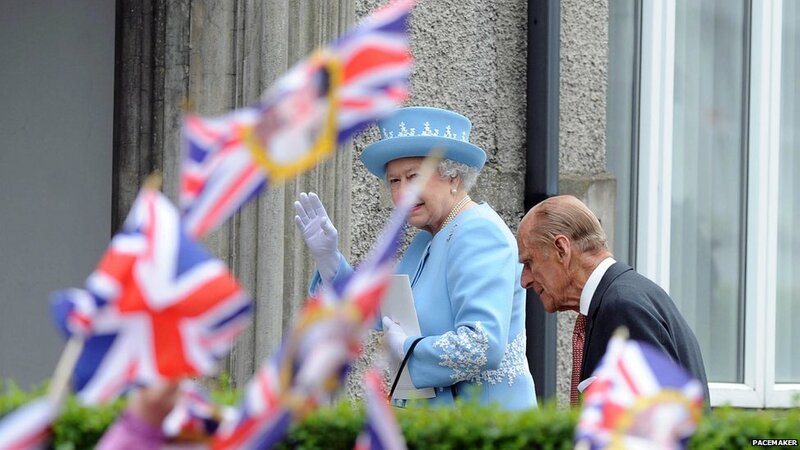 The Queen also attended a service of thanksgiving to mark her 60-year reign. 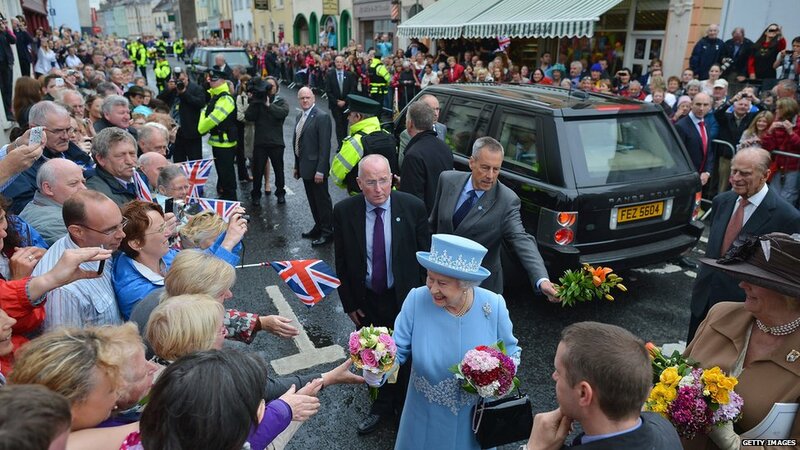 The service at St Macartin's Cathedral in Enniskillen was attended by more than 700 people including senior Protestant and Catholic clergy. 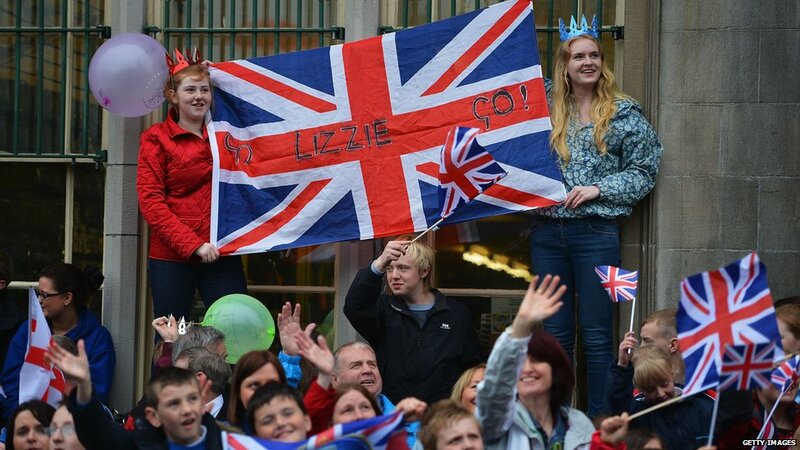 Outside, the jovial atmosphere was summed up by this banner reading 'Go Lizzie Go'. 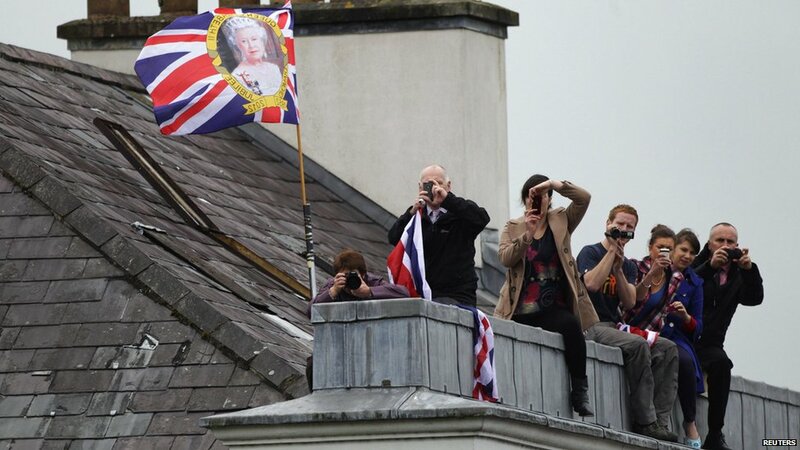 The two-day visit is the Queen's 20th trip to Northern Ireland. 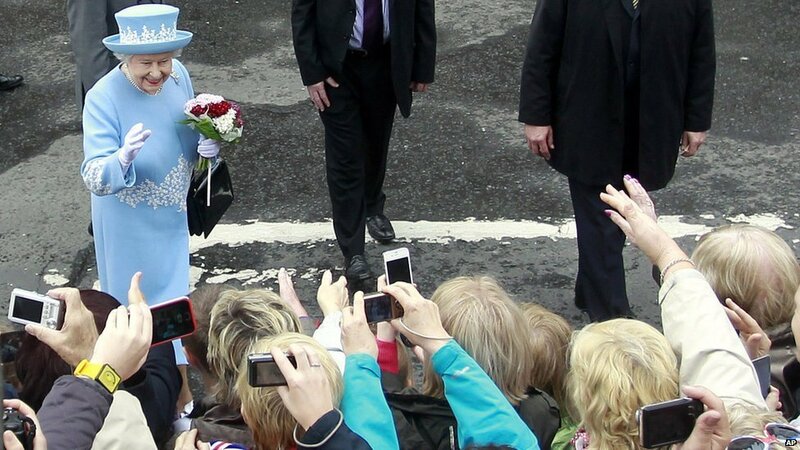 The Queen's ground-breaking four-day visit to the Irish Republic last year cemented a new era in British-Irish relations. This week's visit will include a meeting with former IRA leader and Northern Ireland's Deputy First Minister Martin McGuinness. 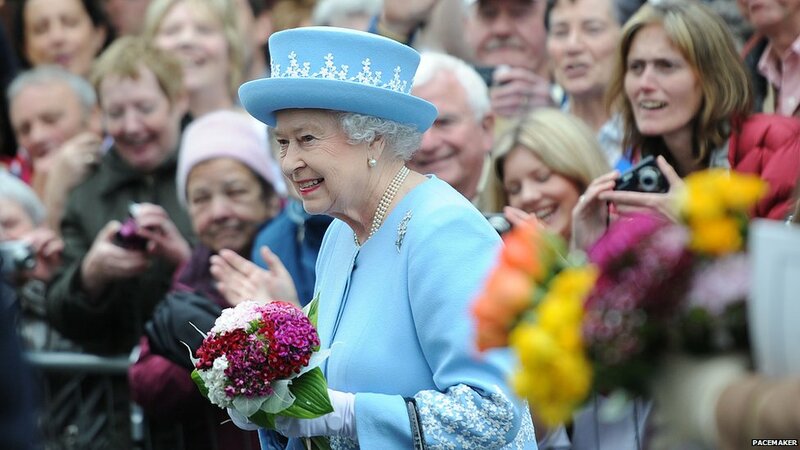 Also on Wednesday the Queen will attend a free picnic for over 10,000 people in the grounds of the Parliament buildings at Stormont. 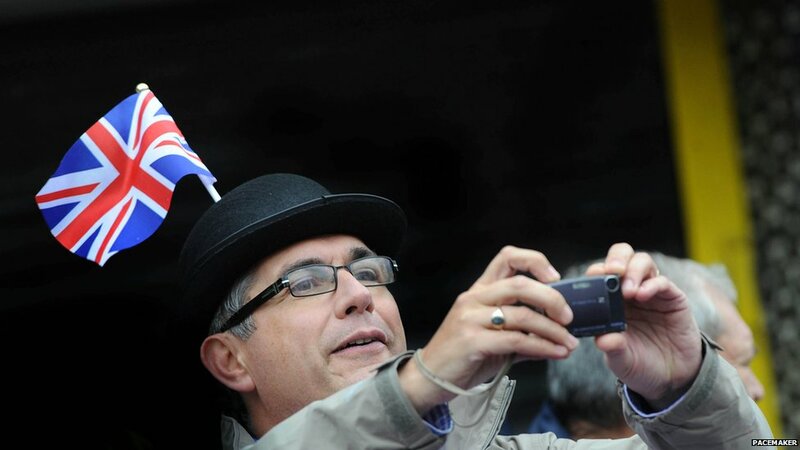 Tickets for the event sold out almost immediately and some were later on sale on eBay for hundreds of pounds. 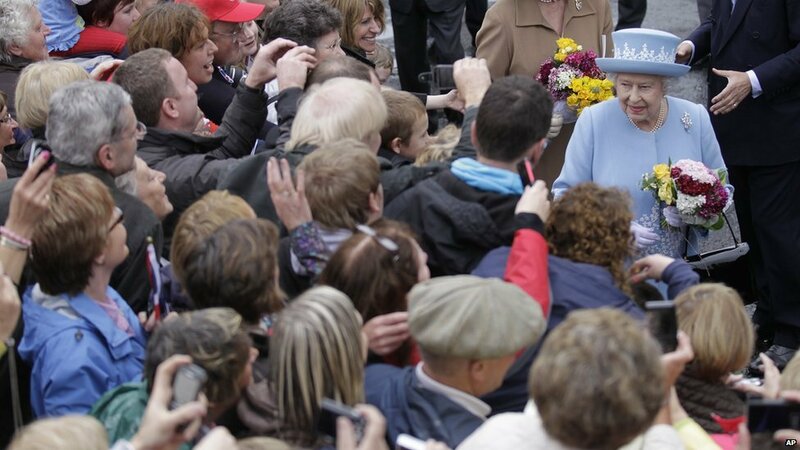 The Queen also met relatives of the victims of an IRA bombing in Enniskillen 25 years ago. 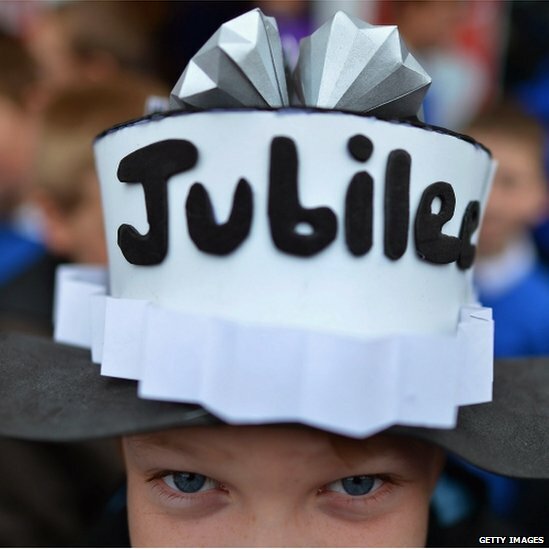 It was one of the worst atrocities of the Troubles - 11 people were killed on Remembrance Sunday in 1987. 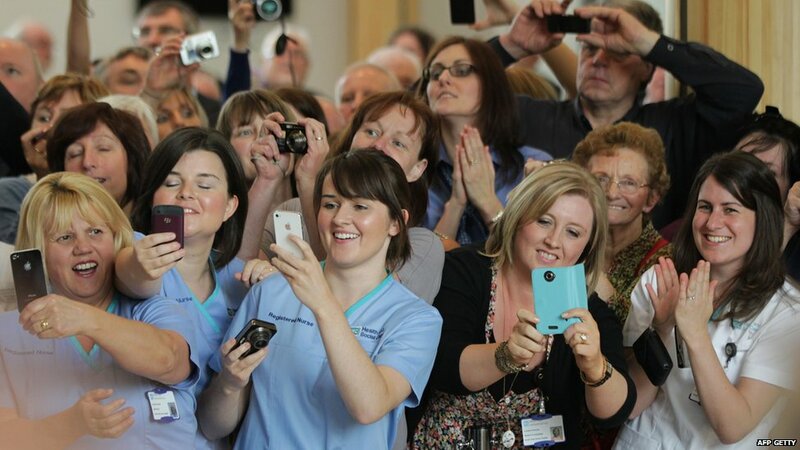 The Queen later visited the new £276m South West Acute Hospital in Enniskillen which opened last week, and had an opportunity to meet patients and staff. 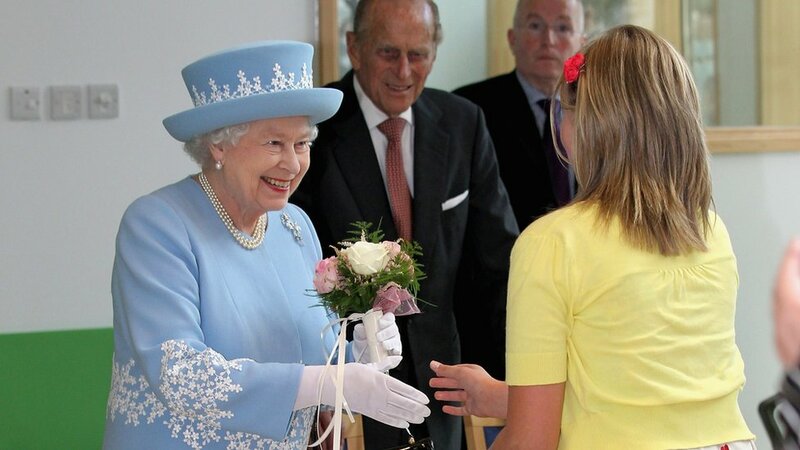 She then unveiled a plaque marking the official opening of the hospital. 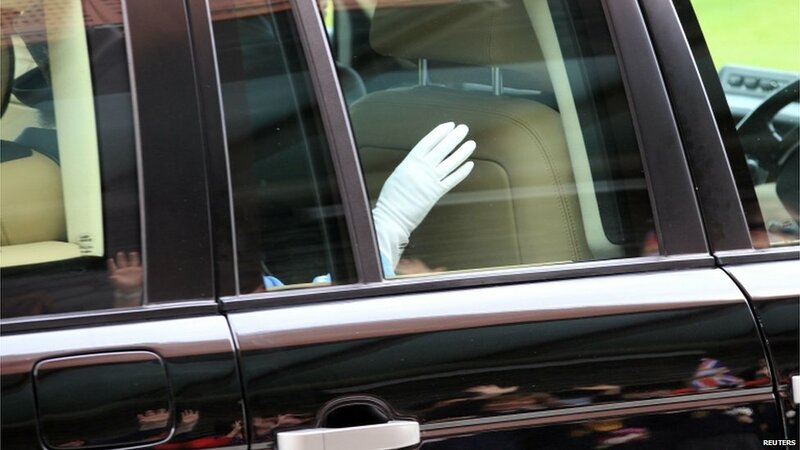 The monarch then left for Hillsborough Castle, her official residence in Northern Ireland, where she will unveil a statue to the mythical, warrior poet, Óisín.